Bundl Technologies Pvt. Ltd, which runs food delivery app Swiggy, saw its operating revenues as well as its losses increase for the financial year ended 31 March 2018, the firm’s filings with the Registrar of Companies showed. The Bengaluru-based company posted net sales or operating revenue of Rs 442 crore for 2017-18, up from Rs 133 crore in the previous financial year. The firm’s losses rose to Rs 397 crore in 2017-18 from Rs 205 crore in the year prior, the filings stated. Total expenditure stood at Rs 865 crore, up from Rs 345 crore in the year-ago period. Swiggy’s competitor Zomato had clocked a consolidated net sales of Rs 466 crore in 2017-18, but its losses were lesser than that of Swiggy at Rs 106 crore. A Swiggy spokesperson told TechCircle in an email response, “Last year (2017-18) , we remained focused on delivering exceptional value to our users, while making significant investments for the future and improving our operational efficiencies as we start hitting scale. This has resulted in the operating revenue increase (232% increase) outpacing the cost increase. We will continue to double down on this growth as we expand to more cities." Queries sent to Zomato, seeking comments did not elicit a response at the time of publishing this report. 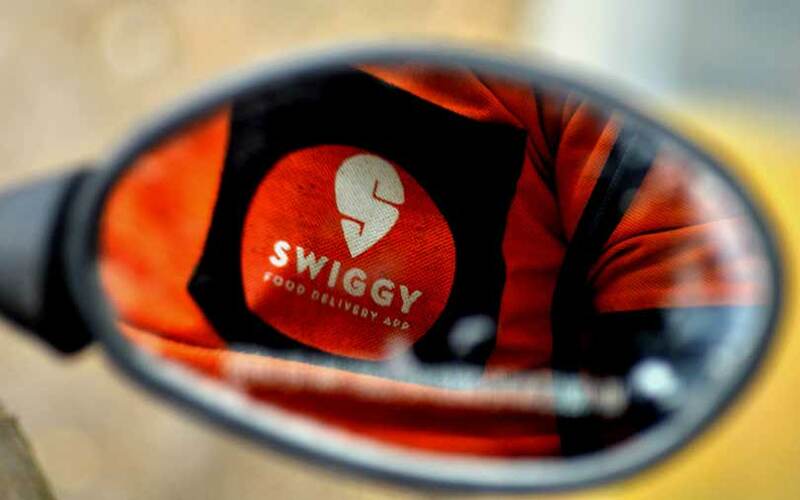 In its biggest-ever fundraise, online food delivery startup Swiggy had secured $210 million (around Rs 1,400 crore) in June this year in a Series G investment round led by South African technology conglomerate Naspers and Yuri Milner-led DST Global. The round vaulted the online food delivery company into the unicorn club, which is an industry term for a company valued at more than $1 billion. Earlier this month, TechCircle reported that Swiggy is in talks to raise $900 million in a fresh round of funding led by Naspers. Naspers has also earlier led the Series E and F rounds into Swiggy, in May 2017 and February this year, respectively. Its other investors include Bessemer Venture Partners, Accel Partners India, SAIF Partners and Norwest Venture Partners. Swiggy was founded in August 2014 by Sriharsha Majety, Nandan Reddy and Rahul Jaimini. Majety and Reddy are BITS-Pilani alumni while Jaimini is an Indian Institute of Technology-Kharagpur alumnus.